The Holiday Floral Centerpiece includes red roses, carnations and berries, accompanied by deep green pine, moss and holly. Includes a red pillar candle within an exquisite glass hurricane. 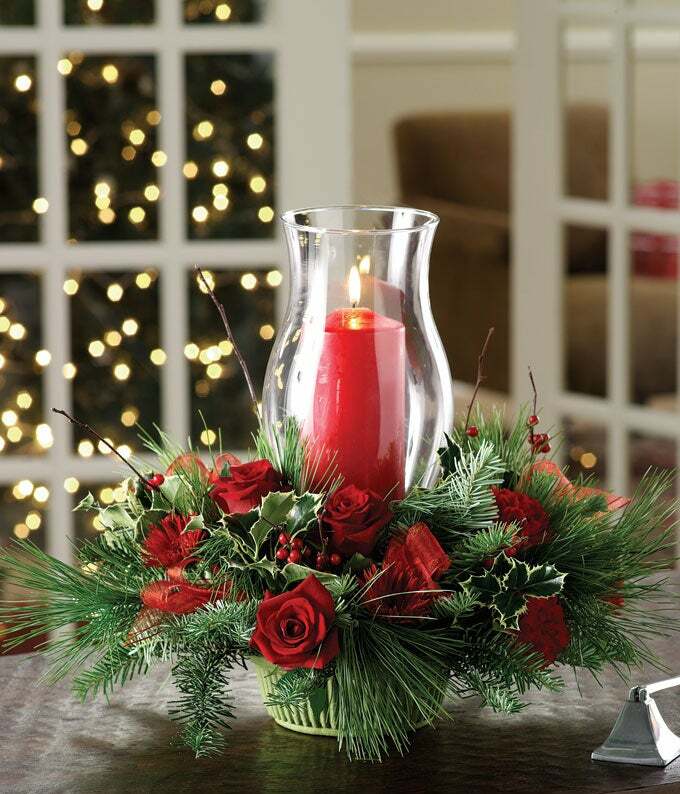 The arrangement is the perfect Christmas table decoration or gift for a host. Measures approximately 15"H x 20"W x 9"D.